Bubblecake Bake Shop is holding a Cupcakes for the Cause event in honor of breast cancer awareness. 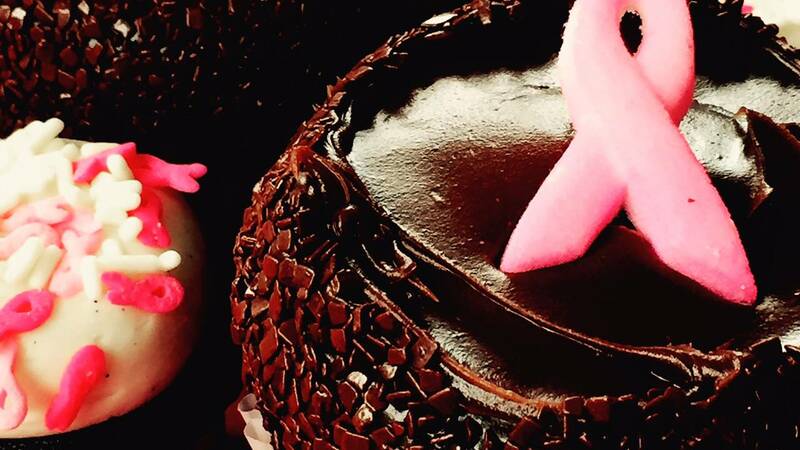 ROANOKE (WSLS 10) -- Bubblecake Bake Shop is holding a Cupcakes for the Cause event in honor of breast cancer awareness. The bakeshop is selling treats to benefit the Virginia Blue Ridge Affiliate of Susan G. Komen through October. All three of its locations, two in Roanoke and one in Christiansburg, will offer a featured signature chocolate cupcake with fudge icing, sprinkles and a pink ribbon. There's also a mini chocolate cupcake with vanilla bean icing and breast-cancer awareness sprinkles. A portion of the proceeds will go directly to Komen. "It's just a great way for us to show our support for ladies going through this," said baker Kayla Flippen. "It's the least thing we can do is decorate a few cupcakes and donate what we can." $1 from the sale of each signature cupcake and $.25 from the sale of each mini cupcake will go to Komen. 75% of all the money the Virginia Blue Ridge chapter raises stays in the community it serves to help with education, screening and treatment support. 25% goes toward research and finding a cure for breast cancer.